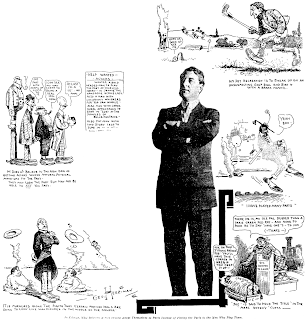 Sunday, November 10 1907 -- Herriman illustrates a color magazine section feature on actor Joseph Kilgour. Kilgour was well-known for his Broadway career that began in the 1890s, then added over 50 silent movies to his resume in the 1910s and '20s. The article focuses on Kilgour's belief that a good actor need not 'look the part' but can overcome physical dissimilarities purely through the force of their performance. like what is the proper name for this type of plate?? how was this plate used to print the cartoon? The plate is engraved in metal/ has recessed (grind out) cutouts for a 3-d effect in the print process and mounted on a wooden block approx 5" x 6". 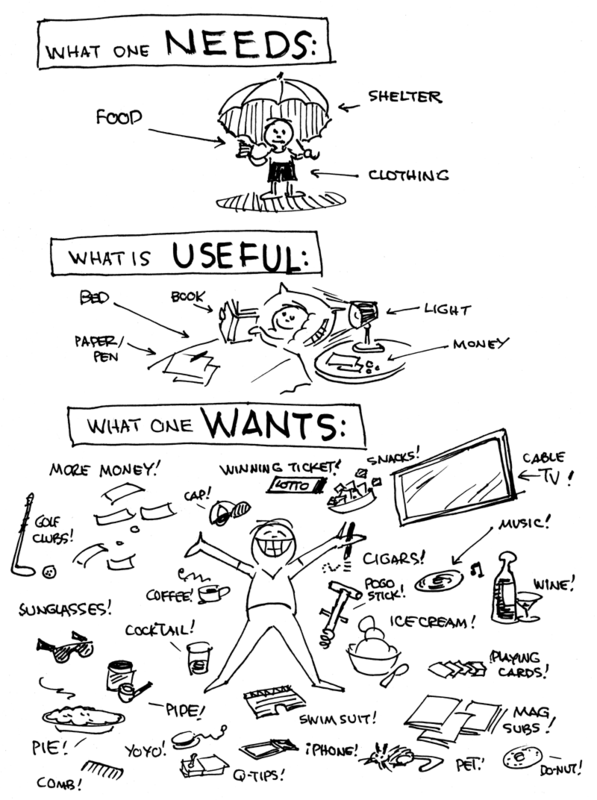 The cartoon and caption are completely clean and legible - in fact it looks like it never was used for printing. 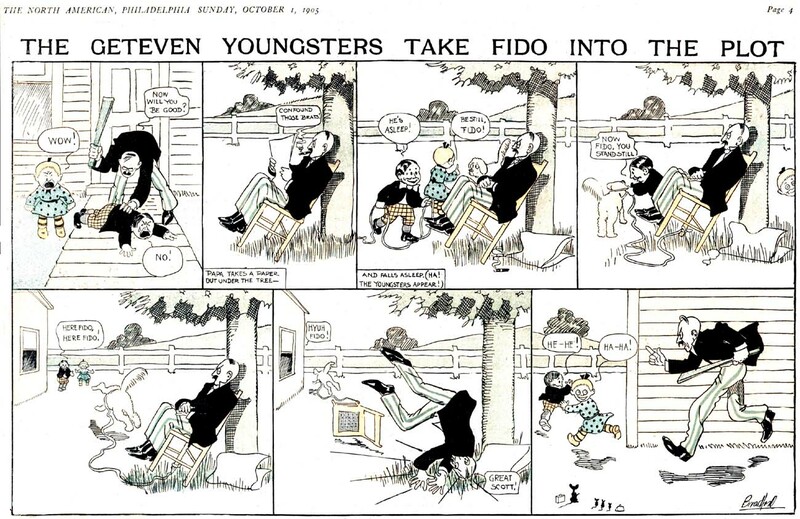 The cartoon features both Hubert and wife Trudy. The plate also bears Wingert's engraved signature. It is signed by the cartoonist and bears "Copy 1954 King Partners syndicate Inc /World Rights reserved"
What can you tell me about this item?? ?is it collectible?? Unfortunately no sound, but I think you'll get the idea. Any idea why mine in on a 5 x6" flat block or is that just another way to make a matrix? Any idea where I can find out more info on it/collectiblity/etc?? I have several Hubert print blocks and was wondering if a guy should just melt then down for scrap or what. 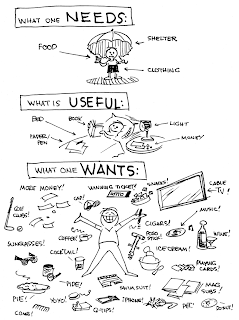 Hubert was syndicated by King's and any links online I have found regarding the cartoon are dead. I'd like some more information myself if anyone has any ideas. 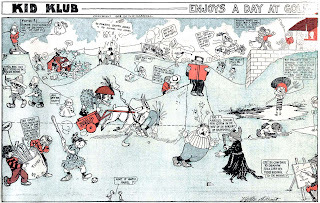 After Wallace Goldsmith gave up doing his long-running Little Allright strip for the Boston Herald's Sunday comic section he switched over to a panel cartoon titled Kid Klub. 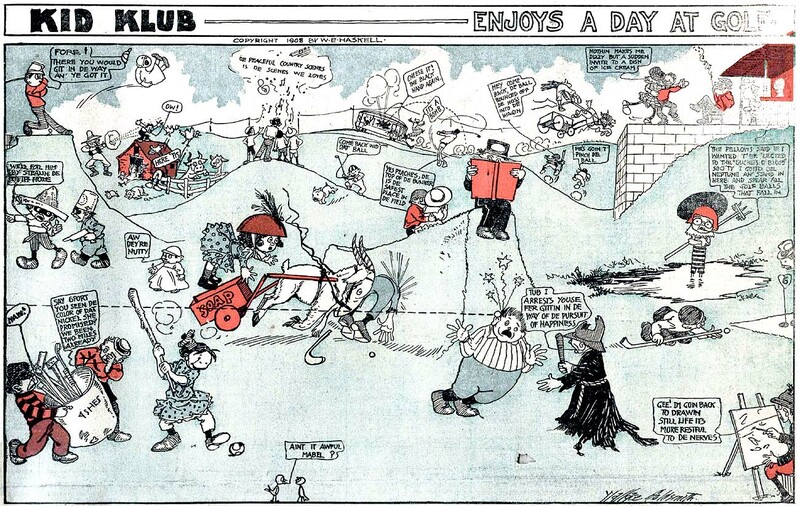 Kid Klub's large panoramas full of joke-filled vignettes recalls the even-then good old days of Outcault's Yellow Kid and Swinnerton's Little Tigers. 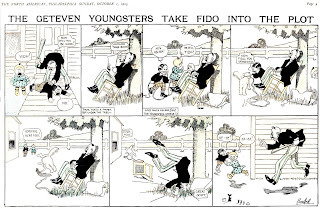 Kid Klub began on January 26 1908 and ended when the Herald finally gave up on their homegrown Sunday section for the third and last time on August 9 1908. At least one paper, the Evansville Journal-News, ran the section until August 30 but they might have just been three weeks behind. A tip of the tam to Cole Johnson for the sample! King Features Syndicate, Inc. has purchased Central Press Association and will start operating it as a unit of its organization March 1, it was announced this week by J.V. Connolly, president and general manager of the Hearst feature service. The price was not revealed. The purchase included all features and property controlled by the Cleveland organization with the exception of its New York mechanical plant. Mat making and distribution from New York will be handled through the Hearst production unit. The Central Press staff will remain unchanged, Mr. Connolly told Editor & Publisher. Farris Flint will continue as business manager; Leslie Eichel will be transferred from New York to Cleveland as editor; and Russell Scott will retain the title of art director. All staff writers and artists will remain on the list and no features will be discontinued, according to Mr. Connolly. It is planned, instead, to add new names to the schedule. The present budget will be continued to all clients of Central Press, but none of them will be sent or transferred to Hearst newspapers, the general manager explained. "We have purchased Central Press outright," Mr. Connolly said, "because we believe we have the proper facilities to operate the organization successfully in conjunction with King Features. We are not disturbing Central Press in any way. The staff will remain the same and the features will continue unchanged." An advantage to Central of the new arrangement Mr. Connolly pointed out, lies in the fact that it will have the benefit of an allied picture service for its daily news photo page, through International News Photos operated in conjunction with King Features, whereas formerly it had no service of its own. It has not yet been decided whether the picture page will be changed to contain only International photos, Editor & Publisher was told. "Central Press now comes into possession of new resources for creating a most complete news mat service through its direct affiliation with International News Photos. It will also enjoy the benefits of a direct tie-up with all the King Features' bureaus, reaching from coast to coast, and will command at all times pictures and news mats which will have the quickest transmission to member newspapers. "New features will be added to strengthen the service and to make it an outstanding budget in newspaper history." V.V. McNitt, president of Central Press, told Editor & Publisher that, although several offers had been received from time to time, it was not until King Features came into the scene that any such proposition was seriously considered. "In becoming linked to King Features we are thus maintaining every one of our deep obligations to our clients," he declared. "In retiring from Central Press, let me express my deep gratitude and sense of obligation to the newspaper editors and publishers who have been with me through thick and thin and have made our success possible." The Central Press schedule includes a regular news mat service and among other features, the following: "Diet and Health," by Lulu Hunt Peters, Dr. Gary C. Myers' psychology series; "Beauty" by Madame Rubinstein; Jess Cargill's editorial cartoons. The comics include "Etta Kett" by Paul Robinson; "Old Home Town" by Lee Stanley; "High Pressure Pete" by George Swanson; "Muggs McGinnis" by Wally Bishop; "Goofey Movies" by Fred Neher; "Big Sister" by Les Forgrave; "Sport Side-Lights" by Jack Sords; "Humorous Slants on Humanity" by Clifford McBride, and "Among Us Girls" by Paul Robinson. The sports features include stories by William H. Ritt and contributions from Sords, Al Winfield and Norman E. Brown. The editorial page units include "The Way of the World," daily editorials by Grove Patterson, editor of the Toledo Blade; "Who's Who," "Timely Views," "The Grab Bag" and Wil Davey's humorous "Hocus Pocus" column. A nuumber of other features are also included. Central Press was founded 20 years ago and in August 1929 acquired control of Johnson Features and Editors' Feature Service. At the start of 1929 it expanded with construction of a mechanical production plant in New York, and Mr. Eichel was elected president of a new company, Central Press Association of New York, Inc., formed to operate this unit. Between these "News of Yore" posts, Herriman Saturday's and "Obscurities", your blog is really a valueable resource of stuff I could never see any other way! All a great offshoot of your research that would never have been available before the Internet! So everything eventually circles back to King Features, eh? Wm. H. Johnson, who was forced out/angrily quit the Hearst Empire, begins a couple syndicates which ultimately end up as part of KFS. Even the remnants of McCormick and Patterson's CT-NYN syndicate are available on-line through King Features' Comics Kingdom. Over here on the West Coast, and back in the day, the de Young family owned the San Francisco Chronicle and hated Hearst. Ten years ago the Chronicle was bought by the Hearst Corporation. It seems all comic strip stories circle back to Hearst. Nice to see William Ritt mentioned, in his days before "Brick Bradford." From the 1920s through the 1970s there were quite a few features syndicated that were designed specifically to run in the classified ad section of the newspaper. The features ran the gamut from gag panels to (believe it or not) serious adventure strips. Few of these features were particularly successful in syndication, but some ran for many years. The purpose of these features was twofold -- to lend some visual interest to those bleak columns of agate type, and to convince readers of the wisdom of buying and selling through the classifieds. Doc Sure Pop, which was syndicated by Register & Tribune Syndicate, was an early and not particularly successful example of the genre. It is only known to have run in 1923. One of the problems with this feature was that the syndicate customized it for each subscribing paper. You can see that here in panel two where the client paper's name has been lettered onto the desk. These features weren't expensive and that custom lettering made sending out the weekly proofs a time-consuming chore. The feature was produced by R.M. Williamson, who always signed the feature RMW. The sample above includes the rarely seen credit line which most papers (including the home paper!) usually omitted. Thanks to Mark Johnson for the sample! The phone in panel three has no wires! Maybe they had cell phones in Janesville in 1923--How can we be sure? And by the way---WHEN DID COMIC STRIPS TURN TO CRAP???? To compound all the other problems I'm having to deal with these days, my computer has been acting up. The CD and DVD drives decided to jump ship, and then the keyboard and mouse stopped responding. The latter happened when I got a little over-ambitious when trying to fix the CD/DVD drivers through REGEDIT. Nothing like compounding hardware problems with your own ill-advised tinkering. I'm writing this on an alternate machine without all my accustomed materials arrayed about me that I use when making a post, so that's why I'm jawing about my ever-so-fascinating problems rather than having an on topic discussion about today's obscurity. The Geteven Youngsters is by one of my favorite cartoonists of the era, Walter R. Bradford. He did this very short-lived strip for the Philadelphia North American from September 10 to October 1 1905, a grand total of four episodes. Of course it is just another spin on the Katzies, one of dozens if not over a hundred that found their way into the papers of the day.Not one of Brad's better efforts, you'll agree. How extensive was the Philadelphia North American as a syndicate? They syndicated their Sunday section until 1915 with what I guess I would call slightly more than minimal success. They never did as well as McClure or World Color but you see their stuff pop up every once in awhile. They were smart to get out of the biz in 1915, about the time that the other secondary syndicates started hitting hard times.